The other night T texted me that he was starving and asked if I'd like to accompany him to Happy Hour somewhere, I was about to eat a hard boiled egg for dinner, so I decided to take him up on the Happy Hour outing. Within moments he pulled up in front of my building in his incredibly obnoxious car and we sped off to Happy Hour. And we ended up here. See that dude on the sign? He's the Gaucho. 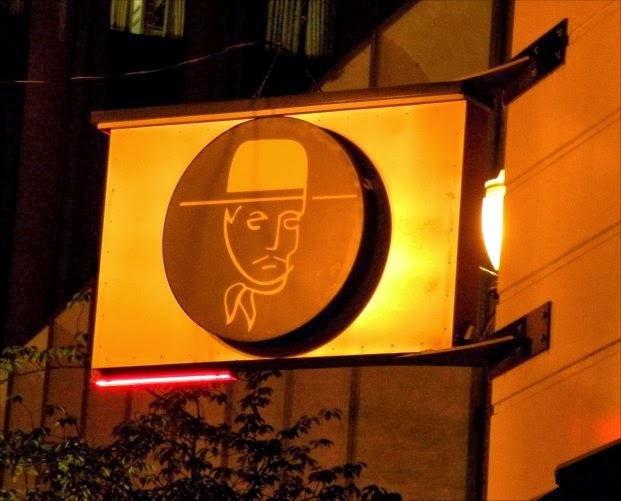 The original El Gaucho is in Seattle and was apparently part speak-easy and part restaurant. The Portland El Gaucho has a feeling of stepping back in time to the day when people got dressed up to go to dinner, everyone walks around like they're super important, which makes people watching a treat. I really like watching people pretend that they have all the money in the world and look ridiculous doing so, therefore I really, really like El Gaucho. The bread at El Gaucho is amazing. 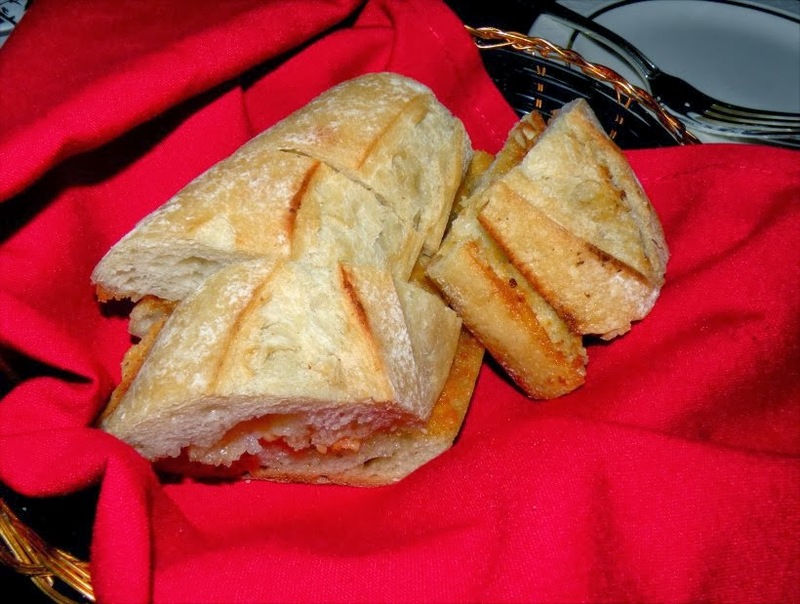 It's garlicky and cheesy and buttery without being obnoxious. It's also toasted yet still light and fluffy. We started with the Wedge Salad ($8.00). This is a terrible angle, but it gives you an idea. 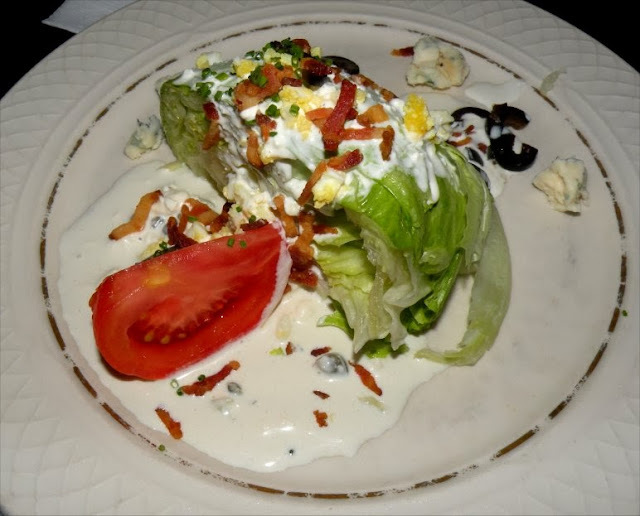 This is a typical wedge salad of iceberg lettuce, a tiny bit of egg, a sprinkling of bacon, olives, tomato, blue cheese and a Roquefort dressing. I'm not a big fan of fungus (mushrooms and blue cheese are the only two foods I just don't care for) so I can't give much of a review of the salad, other than to say that the tomato was fresh and very, very good. T and I both ordered the same thing we always get - the Steak Frites ($18.00). 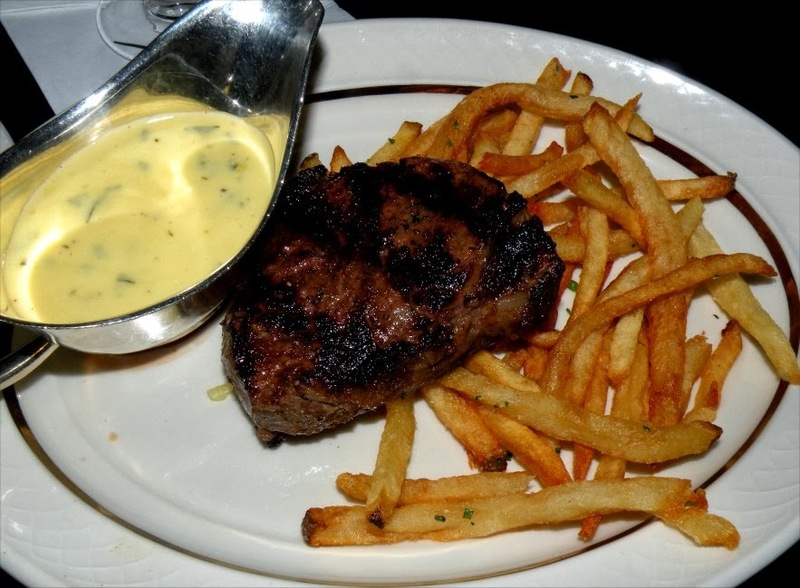 A 6 ounce Niman Ranch steak with Bernaise sauce and french fries. They always ask if we would like the sauce on the side, and I always say yes, but really I should just ask for them to leave it off, the steak is so buttery, tender and flavorful that I think it would be a crime to cover it in a sauce. I tend to think of the fries as a garnish, they're very good for french fries, but the star here is the steak. 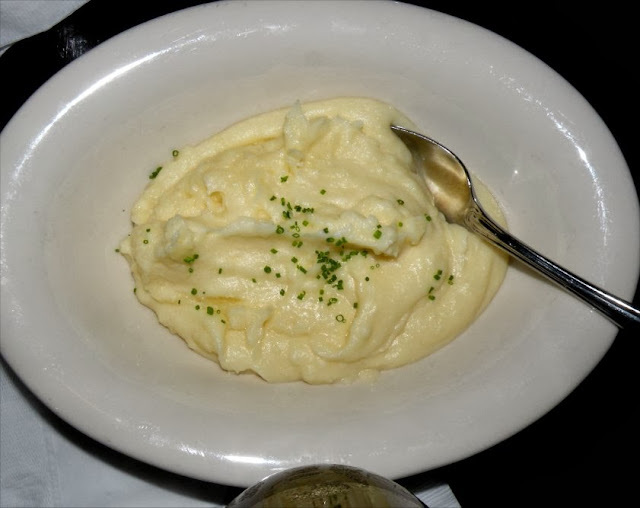 Because T's palate is somewhat a mix between a six year old child and a senior citizen, he can't go to El Gaucho without getting an order of the Norigold Mashed Potatoes ($9.00) (he seems to either eat the sweetest thing on the menu, or the item that is easiest to gum). He loves them and thinks they're the best side order on the planet. 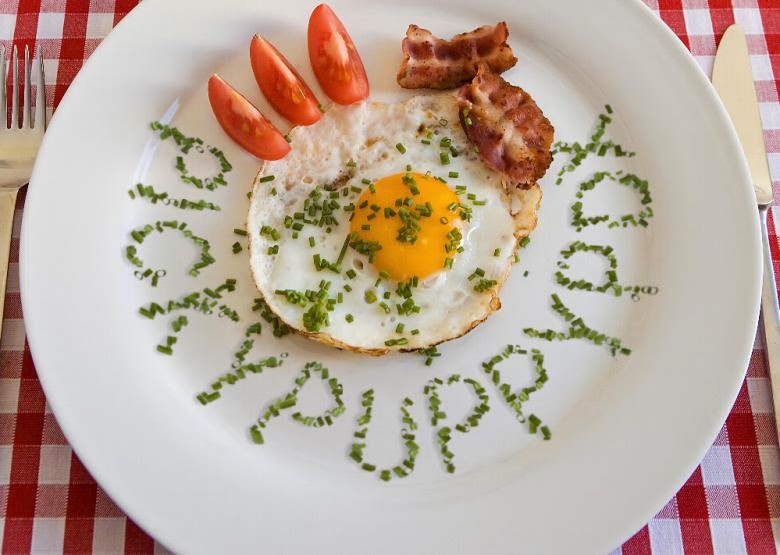 I think they taste like mashed potatoes, a food that is not offensive in any way, but I can't really get excited about. T ordered from both spectrums of his palate by also getting a slice of cheesecake ($8.00). I don't love fruit paired with dairy, but it was very good. 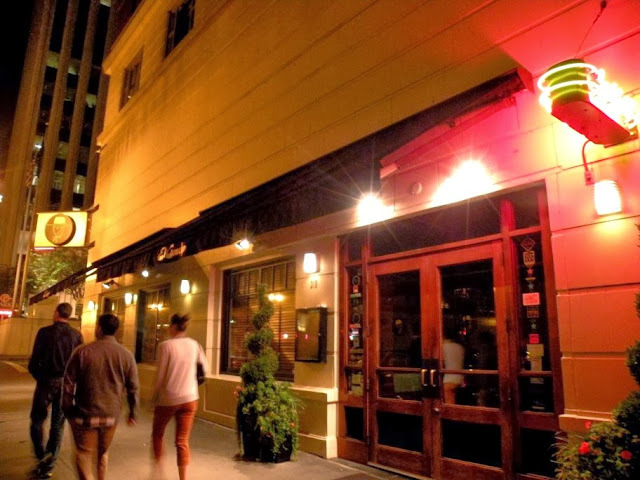 El Gaucho by far has the best steak I've had in Portland - I highly recommend hitting up a Happy Hour to give it a whirl before committing to a full price entree. It is definitely on the spendy side, but the steak is so worth it. Someday I'll have their Chateaubriand, maybe not in the next decade or so - but someday it will happen. If you'd like to check out El Gaucho, their website is www.elgaucho.com/El-Gaucho-Portland.html. They're located at 319 SW Broadway in Portland. They're open 7 days per week. Monday - Thursday 5:00pm - 11:00pm, Friday - Saturday 5:00pm - 12:00am, Sunday 5:00pm - 10:00pm. 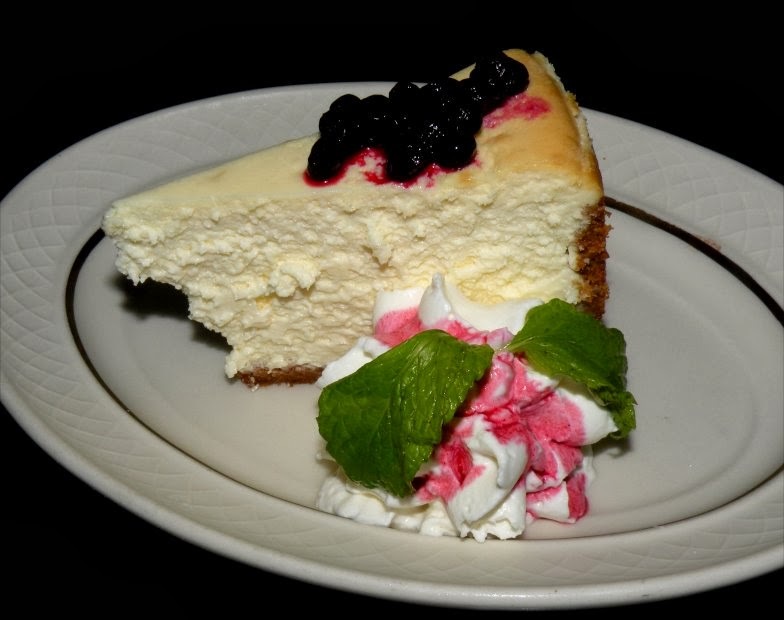 Happy Hour is Monday - Friday 5:00pm - 7:00pm, 10:00pm - close, Saturday 10:00pm - close, Sunday ALL DAY.